The First Andean Subregional Meeting on Formal Education for Disaster Prevention and Response was held on April 5-7, 2005, in Lima, in the context of the 2004-2005 Operational Plan of the Andean Committee for Disaster Prevention and Assistance (CAPRADE), headed by Juan Luis Podestá Llosa, Real Admiral and Chair of the Peruvian National Institute for Civil Defense. The overall goal of this gathering was to strengthen the progress made in the Andean subregion, in the field of disaster prevention and response through formal education. In order to achieve this goal, Mr. Carlos Montero, Director of the Costa Rican Volcanological and Seismological Observatory, Ms. Jeannette Arauz, researcher of that same institution, and Ms. Claudia Cárdenas were invited to participate in the meeting to lead the working groups during the workshops on curricula development. Montero, Arauz and Cárdenas are experts in the field of curricula and educational material design for disaster prevention and response. These working groups were made up of specialists in curricula design, intercultural bilingual education, learning assessment, and educational infrastructure from the Ministries of Education of Bolivia, Colombia, Ecuador, Peru and Venezuela, which also belong to CAPRADE. In addition, national directors, heads of training and education departments, and professionals of institutes of civil defense/protection from the aforementioned countries also participated in the workshops. The joint effort of all the professionals that participated in the First Subregional Andean Meeting allowed for the definition and subsequent analysis of a proposed program entitled "Aprendiendo a Prevenir - CAPRADE" [Learning to Prevent -CAPRADE], This program is composed of various learning modules, values and attitudes relevant to disaster prevention and response, intended for both basic education and pedagogic training. This program will enrich the content of existing curricula development projects in member States. Bearing in mind the need to design a flexible, diversified and contextualized curriculum, the learning contents proposed must be adapted to the structures of each education system, and to the problems and particular characteristics of each country. 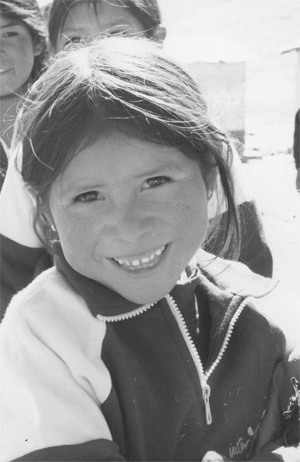 Furthermore, acknowledging that society at large is responsible for enabling all children to have access to development processes through ongoing and participatory actions -which may lead to the learning of appropriate behavior to face major hazard situations, in the context of a culture for disaster prevention-, "Aprendiendo A Prevenir" represents a proposal for capacity building in the field of disaster prevention through early education, intended for children from birth to 4 years of age, and through initial education for students of 4-5 years of age. · Development of education on values. The second outcome of the First Encounter was the Education Infrastructure Standards for Educational Institutions in the Andean Subregion. The formulation of such standards was guided by Mr. Pedro Bastidas, consultant to the OAS, who was invited to lead this workshop during the Encounter. Education infrastructure in the Andean subregion requires that these standards be put into practice, because there exists the need to develop construction systems that consider different natural hazards (earthquakes, volcanic eruptions, landslides, strong winds and floods, among others), based upon their geographic location. · Assessment, retrofitting, mitigation and maintenance. Basic recommendations were made for each of these aspects. Their implementation would allow educational institutions of the Andean subregion with infrastructure works to include the following aspects in their projects: land use studies, topography, risk assessments, and safety in their project design. Community participation should also be included when developing their projects, so that they are adapted to local realities. 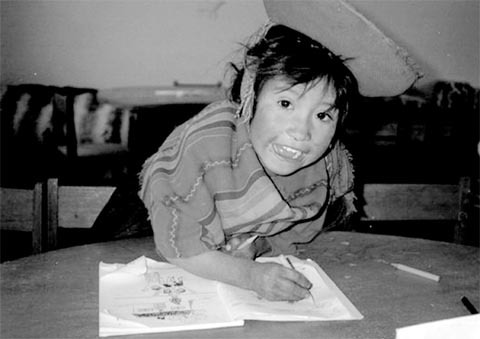 The President's Office of the Andean Committee for Disaster Prevention and Assistance (CAPRADE) encourages Ministries/Departments of Educations of all member States to consider "APRENDIENDO A PREVENIR" within curricula development at different levels and modalities of their formal education systems, as well as the recommendations made in the context of the education infrastructure standards, as the major outcomes of First Andean Subregional Encounter on Formal Education for Disaster Prevention and Response. These results are intended to create a culture of disaster prevention, which involves capacity building, skill development, attitude change and a number of values to be fostered among children and youth who, as adults, will have a better understanding of natural and man-made disasters. They will also be aware of the importance of adopting prevention measures, learning about the impact of human actions on the environment, and undertaking the appropriate actions to cope with disasters or emergency situations when these arise.